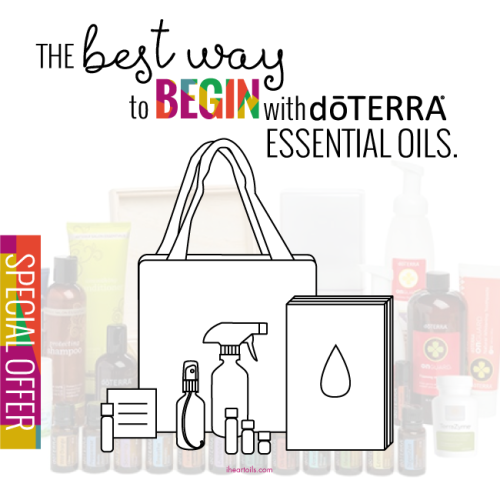 I’ve got a great way to get started using dōTERRA essential oils. When you open a new Wholsale Customer or Wellness Advocate account through me, you'll receive some really fun free gifts. One of the most popular kits to get started with is called the Natural Solutions kit. With this kit, you'll have many of the popular oils and other product to start transitioning to a more natural wellness lifestyle. • BAG- Pick one of the I Heart Oils tote bags in my shop. Any design you’d like. • BOOK- Pick one of my recommendations of great titles to get you loving your oils. • BOTTLES- You’ll get a selection of empty glass bottles in various sizes to get you started on some fun DIY projects. • BLEND- You’ll get my custom made exclusive I Heart Oils blend and the recipe so you can refill. It’s SO yummy. You’ll love it! • Membership into my VIP group and lifetime free access to my digital download library of projects and resources. Any PDF currently there as well as any future addition. Ive got some fun things coming in the next several months. • Access to additional private groups with support and training for both customers and wellness advocates. • Private getting started training for both oil wholesale customers and wellness advocates. Such a great deal! Begin with a bag, a book, bottles, a blend, and all the best of my digital world. I can’t wait to have you join me! You can learn more about the difference between the Wholesale Customer and Wellness Advocate accounts HERE. Check out the different enrollment kits and their free gifts HERE. Find step by step enrollment help HERE. When you are ready, head over to my enrollment page HERE. I’m happy to answer any questions you might have about essential oils or opening your new account. Sign up for my free Healthy can be Simple E-Course & 5 Day Family Wellness Challenge. Subscribe to get updates on promotions, new products, and fun ideas to stay healthy.